Leafstar is a proud she-cat. She will do just about anything for her clan, to keep it at its utmost stage in life. She wants nothing more to lead the cats in SnowClan as a strong-willed leader, someone who isn't afraid to stick up for things and take action. Many cats from the other three clans know a thing or two about Leafstar, and that is she is easily irritated. Although she tries to hide it, Leafstar can be impatient sometimes and may not stop to think at times. Her clan worries for what might happen in the future because of this rath behavior, and hopefully GalaxyClan will have the sense of giving her a wise deputy. However, enough about her less appealing traits, and more onto her likable ones. Leafstar is confident, and even though she can seem scary at first, all she's doing this for is to protect her clan. She's kind at heart but just shows it in a different way than others are accustomed to. 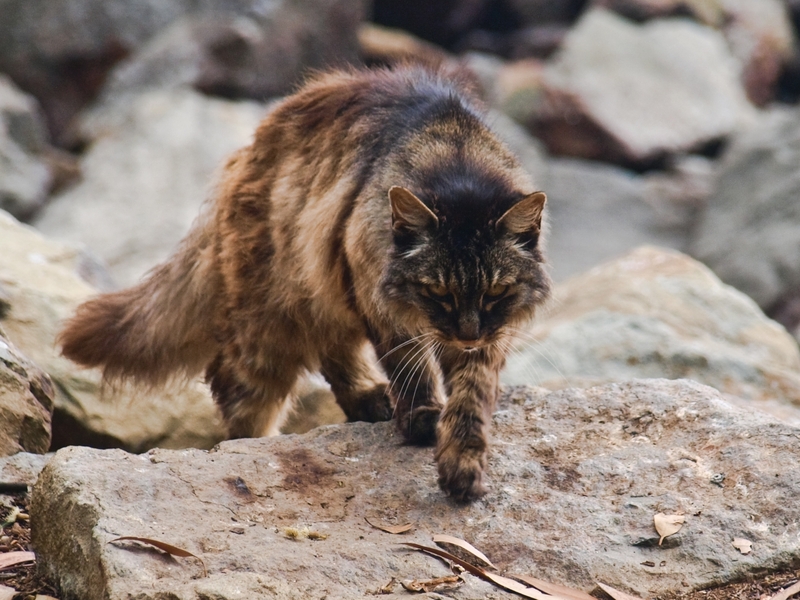 A large, and tough-looking cat with quite a few battle-scars worthy of a long story-telling. Leafstar is a cinnamon brown she-cat with dark tabby markings along her pelt. She has a longer and thicker stripe going from her head, down her spine to her tail. Her face, paws, and ears have darker fur tones. She has very thick, and long fur, often out of place and sticking up. Leafstar's eyes are a striking pale green color, with a hint of amber. Two very noble warriors of SnowClan bore Leafkit and her littermates. Their attitudes affected the litter, and mostly Leafkit, who was so inspired that she wanted to lead the clan one day. Her mother was Mintshine, and her father was Thrushface. They had one single litter, to contribute to the clan for it to grow, including Leafkit. The others were Swiftkit, and Pinekit. Leafkit, like the other kits, grew up playing a warrior, and "hunting" any sort of creature she was able to catch. Including tails. Once she earned her apprentice name at the age of six moons, she began her training under a she-cat named Leopardheart. Throughout her time as a young cat, she may have been a bit of an arrogant cat. Leopardheart taught her more violent ways of the warrior lessons, which shifted onto her apprentice who often violated the code, as well as challenging the deputy's decisions and muttering under her breath about how soft their leader was. Luckily, as a warrior, she began to become less of a cocky young cat, and into a mature, strong warrior. Even though she did still think of violence of peace, Leafclaw was a valued warrior amongst her clanmates. This brought her to become the next deputy. Over time, she finally became the new leader of SnowClan, wanting to bring the Clan to a new era of pride.